Let’s be honest—milkshakes are awesome. There’s something insanely satisfying about downing a creamy milkshake on a hot Arizona day. Nowadays, however, milkshakes have more to offer than standard chocolate, vanilla, or strawberry varieties. Restaurants have upped the ante as of late. 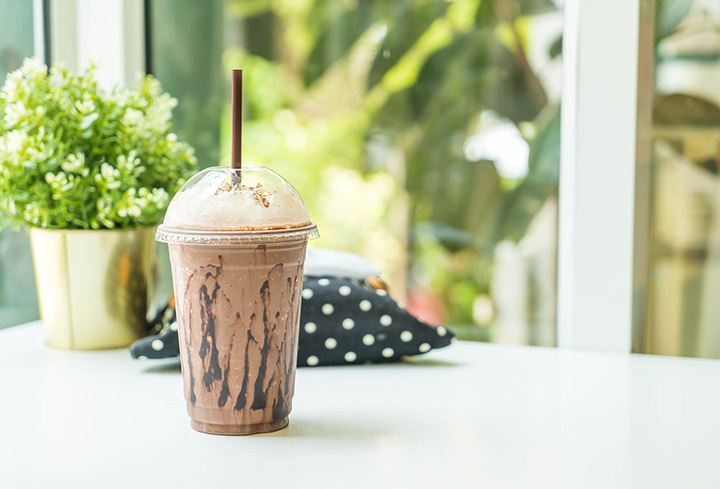 Here are 10 local places where you can enjoy the best that milkshakes have to offer. It actually pays to judge a book by its cover at MacAlpine’s. You’d expect this old-school diner and soda-shop to serve up a tasty array of malts and milkshakes. MacAlpine’s was established in 1928 and it still exudes the feel of an old-school establishment. MacAlpine’s staying power can be largely attributed to its tasty treats. They serve a variety of milkshake flavors ranging from the traditional to truly unique. Favorites include the strawberry shortcake and chocolate malt krunch shakes. Stray Dogs milkshakes put the cherry on top of an already great dining establishment. This casual restaurant has tasty burgers, a dog friendly patio, and large draft beer selection. But no trip to Stray Dogs is complete without one of their signature milkshakes. Their milkshakes are delicious, decadent, and large enough to share. The fully loaded shakes are topped with sweet add-ons like donuts and Rice Krispies Treats. Parents will also love their “loaded” milkshakes that fuse together alcohol and dessert. Perhaps the most quintessential American meal is a burger, fries, and milkshake. No place in Phoenix does this better than The Stand. The Stand is a neighborhood burger joint located in Arcadia. Though it’s primarily known for its juicy burgers, the real star of the menu is the salted dulce de leche shake. It’s made with Mexican caramel, coarse sea salt, and vanilla ice cream and has been named the best milkshake in Phoenix by the Phoenix New Times. The Stand also serves up crowd favorites like the chocolate chile and banana stand shakes. Sweet Republic specialized in handcrafted, artisan ice cream. That’s what elevates their milkshakes to the next level. All of their ice cream is made using fresh local ingredients from local Arizona dairy farms. The result is delicious, melt in your mouth ice cream flavors. Sweet Republic has over 20 flavors of ice cream available for shakes, floats, and malts. Locals love the salted caramel, triple chocolate, and strawberry creamsicle. Bing’s Burger Station is more than just a road trip pit stop. Located in the small town of Cottonwood, Bing’s gets many new customers that are in the middle of a cross-country trip. This 1950s-style diner is located in a converted retro gas station. This old-timey restaurant specializes in burgers, shakes, and malts. You’ll find delicious shakes made with hand scooped ice cream and blended the old-fashioned way. Go for a classic vanilla, strawberry, or chocolate shake. You won’t regret it. You’ll enjoy good taste and fresh flavors at The Screamery. This Tucson ice cream parlor is the first in Arizona to pasteurize its own ice cream. The all-natural ingredients and wide-range of flavors make any of the Screamery’s treats a must-try. Their 12-ounce milkshakes are blended with your choice of ice cream and four ounces of whole milk. They also have over 20 unique ice cream flavors including coffee toffee, PB&J, and bacon and bourbon. One trip to Churn isn’t enough to satisfy your sweet tooth. That’s because this classic ice cream parlor has everything from floats and sundaes to malts and milkshakes. Churn uses fresh, simple ingredients in making their renowned ice cream. There’s also no shortage of choices including unique rotational flavors like milk and cookies or chocolate stout. Their decadent shakes come in any flavor. Why do people love Mama Burger’s shakes? For one, they have over 15 flavors available including caramel mocha, black forest, and strawberry banana. They also have an unbeatable price with each shake priced at only $4. The real treat is that you have the power of personal choice. The “make your own shake” special comes with a chocolate, vanilla, or strawberry base. Then you can add up to three of your favorite mix-ins and toppings including peanut butter, Oreos, or root beer. Next time you’re in Flagstaff, don’t forget to visit Mama. What started as a small ice cream truck has grown into a local success story. Mighty Moo is a family owned ice cream truck that offers over 30 homemade flavors of small-batch ice cream. The truck’s success led to a brick-and-mortar shop and many more satisfied customers. Mighty Moo’s tasty shakes come in any of their unique flavors. Favorites include cake batter, peanut butter explosion, Captain Crunch, and many more. Paradise Valley Burger Company is known for their classic and specialty burgers. As good as their burgers are, it’s their shake that has been generating all the buzz. Their Lucky Charms marshmallow shake is arguably the best milkshake in Arizona. This shake is part cereal, part ice cream, and 100 percent delicious. They also sell traditional vanilla, chocolate, and strawberry shakes in addition to fun flavors like rainbow, maple pecan bacon, and peanut butter.